Today on the podcast we will listen to a conversation I had with Mark from MES English about our basic philosophy in teaching very young learners English. We talk about how to relax in class, what to expect from the students, and how watching Sesame Street can help you with class ideas. You can listen to the whole conversation at ESLTeacherTalk.com. Click here to listen on PodBean. Also available on iTunes! Hi! 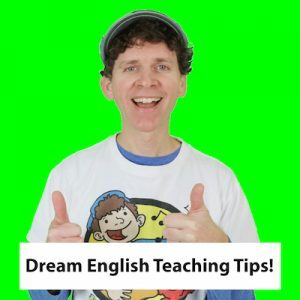 I’m excited to introduce the Teaching Kids English Tips Podcast. Podcasts are a great learning tool, and I love listening to podcasts on my way to work, driving or out for a walk. So, I decided to start my own, and give some fun and helpful teaching tips. I have 2 episodes up already: Warm Ups in Class, and Teaching English using Songs Have a listen here!